Shopping for Iron Man Bobble Heads? 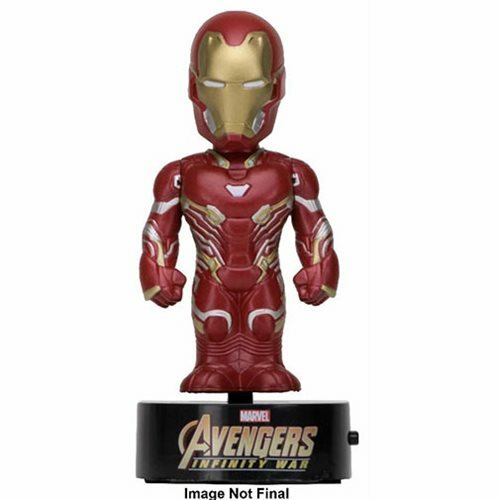 Enjoy hours of fun with this Avengers: Infinity War Iron Man Body Knocker Bobble Head. From Marvel's Avengers: Infinity War, this solar powered body knocker rocks side to side when exposed to light, no batteries needed. It measures approximately 6 1/2-inches tall. Ages 14 and up.